Roberto Mancini believes his Manchester City side will retain their Premier League title, despite experiencing a stuttering start to the season. City have drawn three and won two of their opening five league games, lost to Real Madrid in the Champions League, and are out of the Capital One Cup. 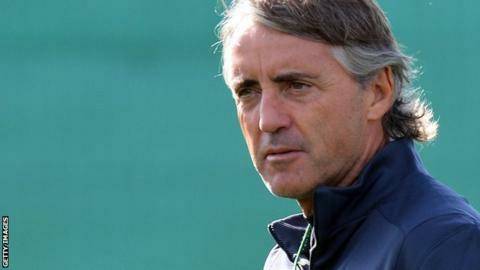 "We need to stay calm and work hard," said Mancini, whose side face a trip to Fulham on Saturday. City have looked susceptible defensively, conceding 14 goals so far this season, including seven in the top flight. And they have not been as productive at the other end of the pitch. This time last year they had scored 17 goals in the Premier League; this season they have only found the net 10 times. "We have conceded only two goals more than last year," added the City boss. "Maybe we score less than last year after five games but we have had a problem with [the injury to striker] Sergio [Aguero]."